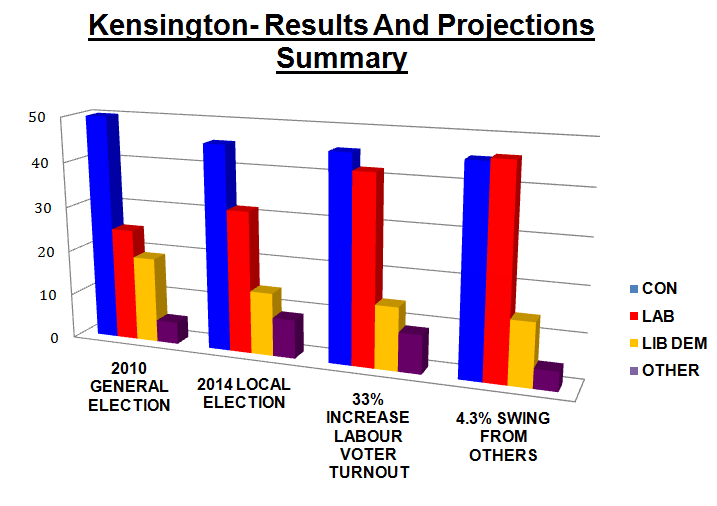 STOP PRESS – Kensington Labour closing the gap! While this has changed due to the plummeting support for UKIP, no poll can account for the tremendous amount of work carried out by Kensington Labour Action Teams and our wonderful and hard-working candidate Rod Abouharb. If you and every Labour voter uses their vote on 7 May, we could win. It’s that simple.